HG "Oct 19 2012", "15:00:04"
1. 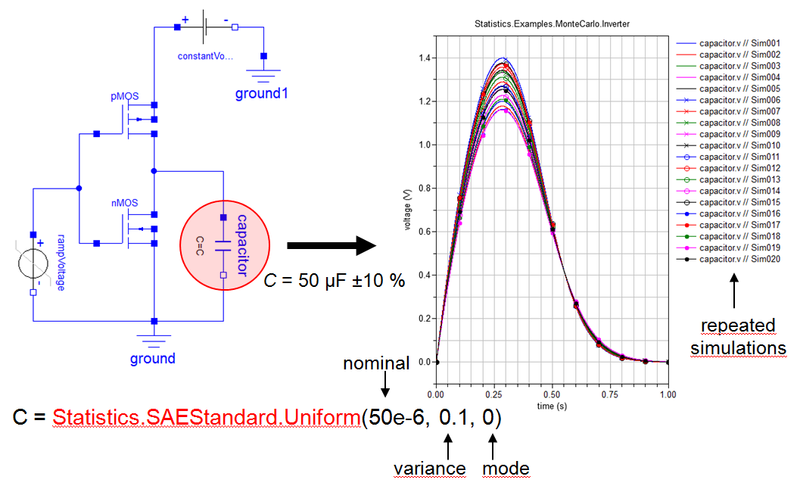 Monte Carlo analysis, where the model parameters are calculated by statistical distribution functions. Repeated simulation varies the parameters according to the chosen distribution. 2. Noise Generation: The sampled call of a statistical distribution function generates noise during transient simulation. Statistics Library 1.3 is available for Dymola. Tested on Dymola 2013 and Modelica Standard Library 3.2. We plan to make it available for SimulationX soon.